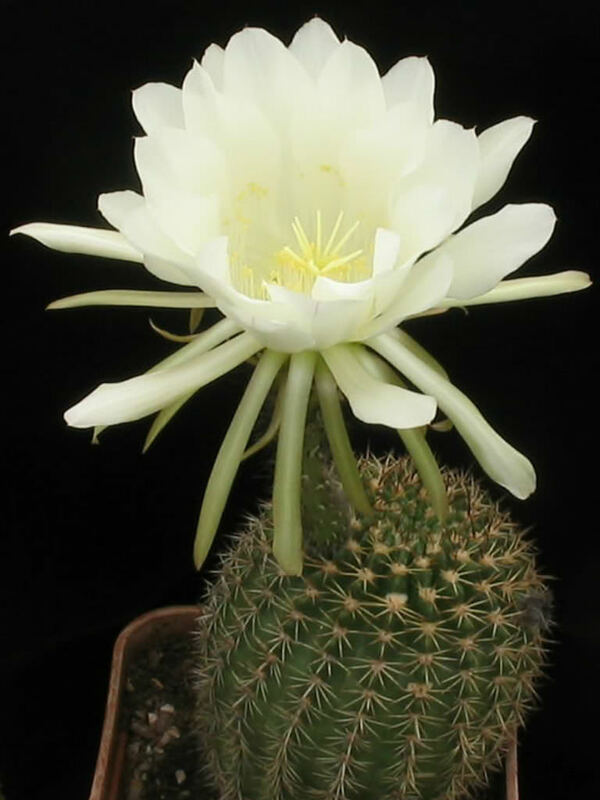 Echinopsis mamillosa has a solitary growth habit, with globe-shaped stems up to 12 inches (30 cm) tall. The stems are dark green, with a diameter of up to 3.1 inches (8 cm) across, and have 13–17 deep ribs, formed into tubercles. 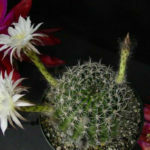 The rounded areoles are spaced up to 0.5 inch (1.2 cm) and produce yellowish spines with brown tips, the one to four central spines and the 8–12 radial spines. 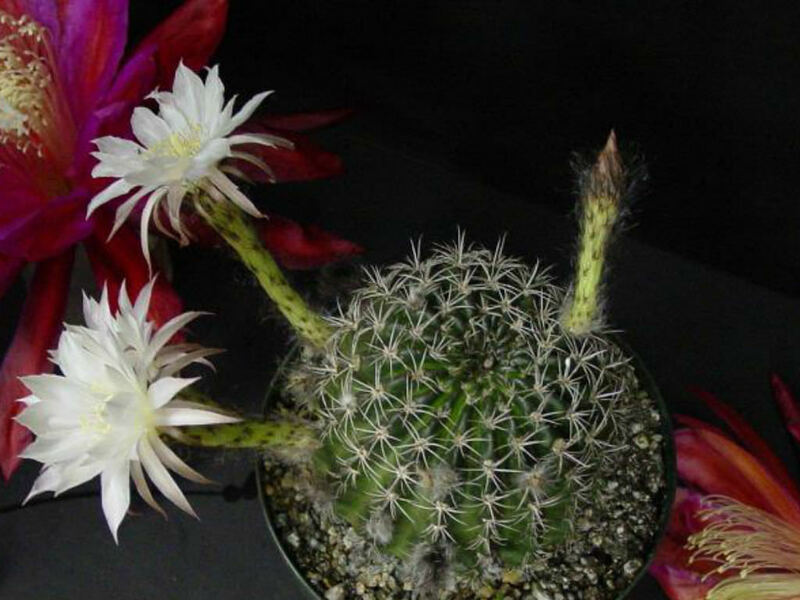 The flowers are white with rose tips. 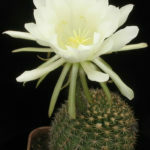 They are large in relation to the diameter of the stems, up to 3.1 inches (8 cm) across and up to 7 inches (18 cm) long. 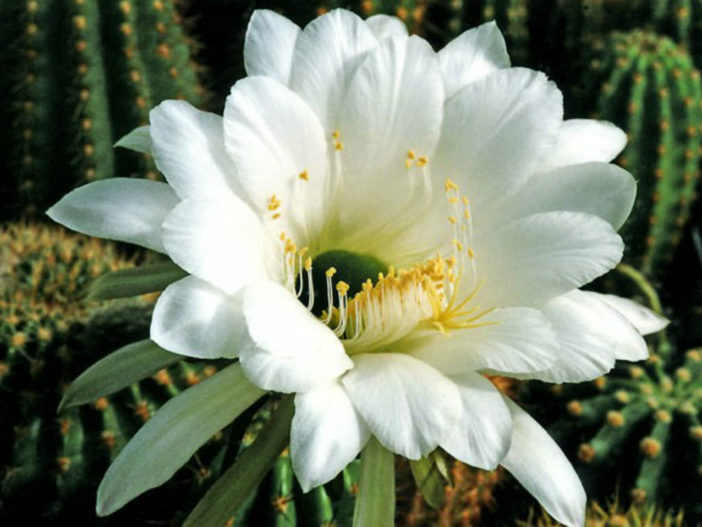 Echinopsis mamillosa is native to Bolivia.